Publication. Quick Response Journey. Ecozon@ (Online). Some images of the sketch model making for Quick Response Journey (the second of the series of three installations dedicated to the QR code) are published at the Creative Writing and Arts section of the Ecozon@ Journal about “Green Computer and Video Games“. 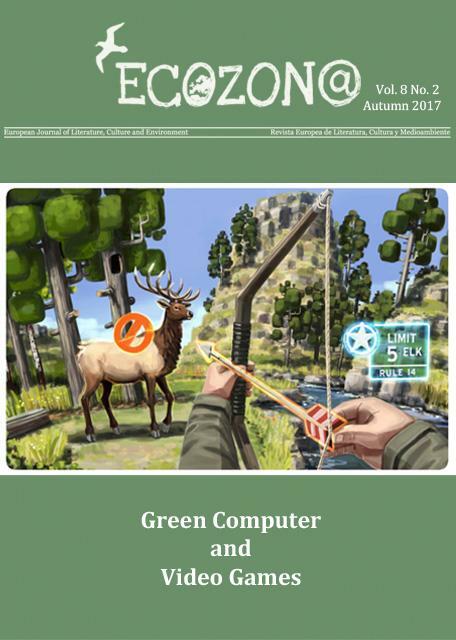 Alenda Chang and John Parham are the guest editors of this issue 8.2; augmented reality images, writings and poems by Tamiko Thiel, Anthony Lioi, Luis Correa-Diaz and Ronald Campos López are on the same section; as well as an cover image from the online game Eco by Strange Loop Game. It was founded in 2010 as a joint initiative of GIECO (Ecocritical Research Group in Spain) and EASLCE (European Association for the Study of Literature, Culture and Environment). Its principal aim is to further the study, knowledge and public awareness of the connections and relationship between literature, culture and the environment. In addition to publishing original research articles, also publishes creative writing, visual arts and book reviews which are reviewed by the editorial board and the guest editors. As a virtual space, it provides a site for dialogue between researchers, theorists, creative writers and artists concerned with and by the environment and its degradation. The group is headquartered at the Instituto Franklin-UAH (Benjamin Franklin University Institute for Research on North America at the University of Alcala de Henares). – awareness-raising, activism and environmental justice in the humanities. – advocacy for and maintenance of ecologically sustainable practices.